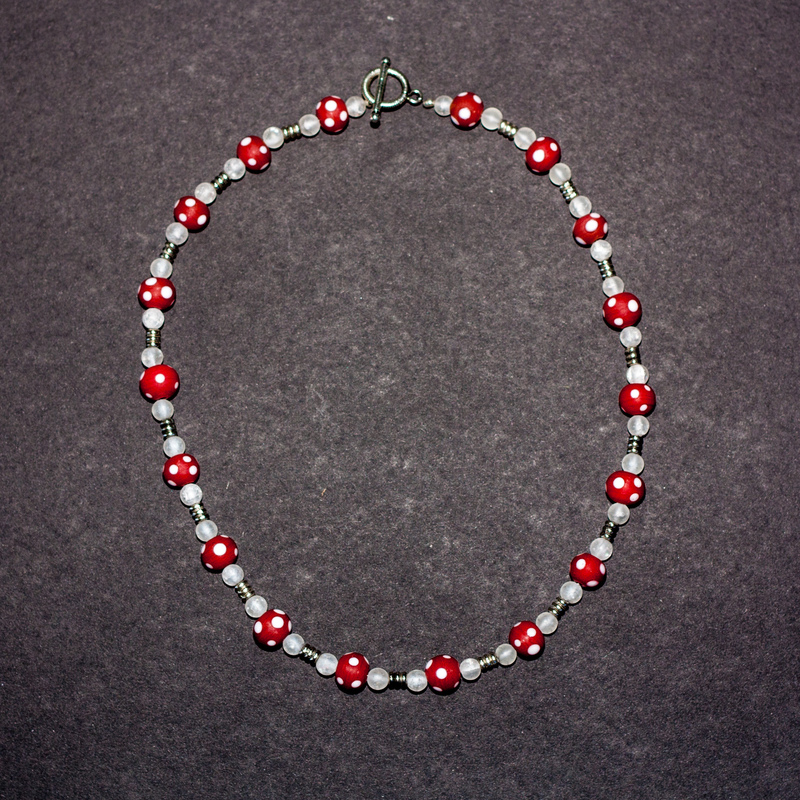 Materials: Silver Clasp, Metal Beads, Wired beading. 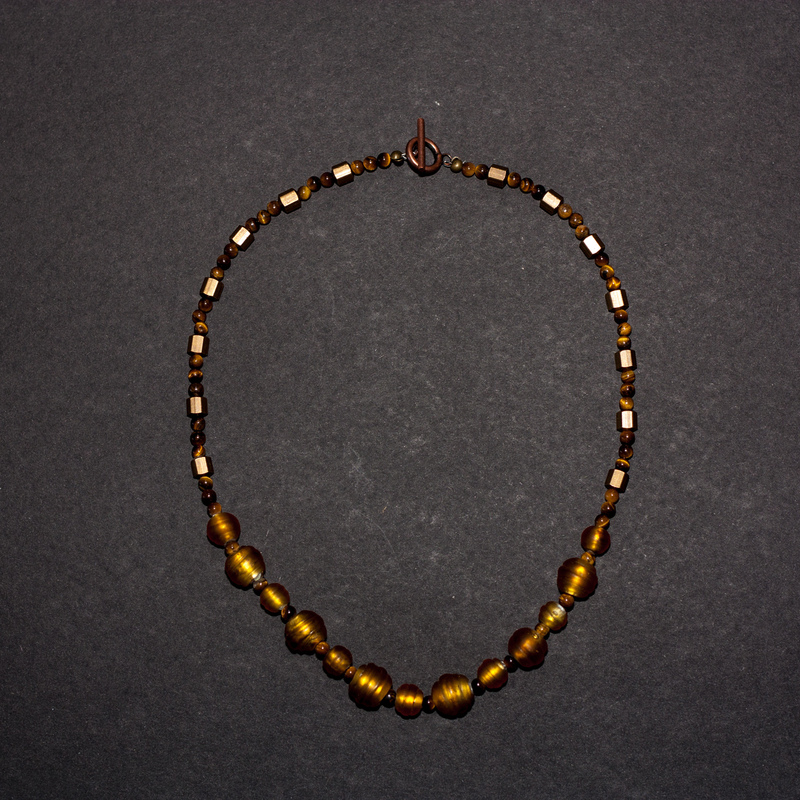 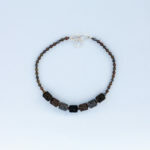 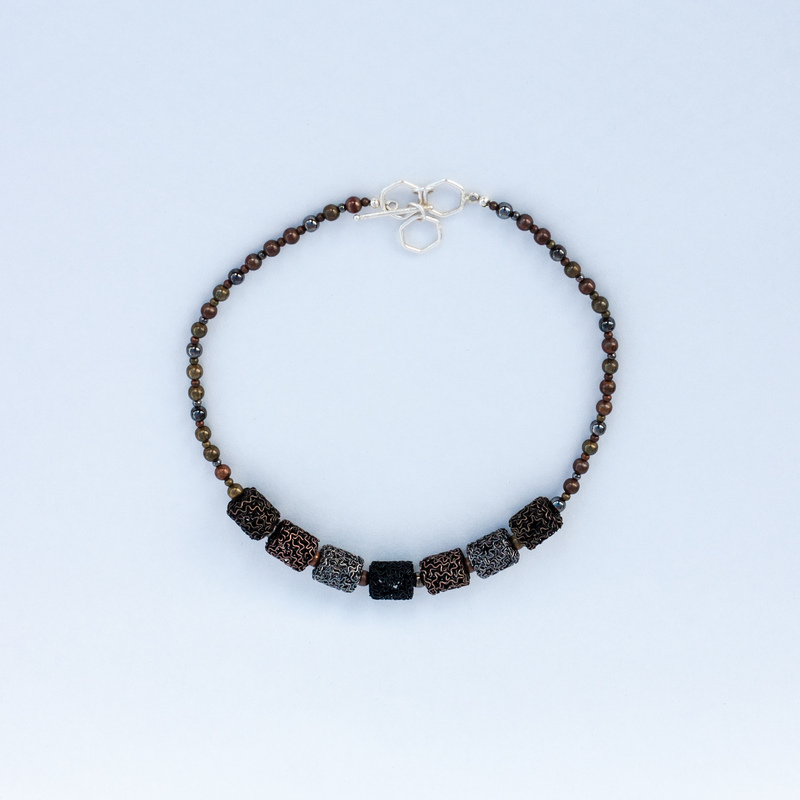 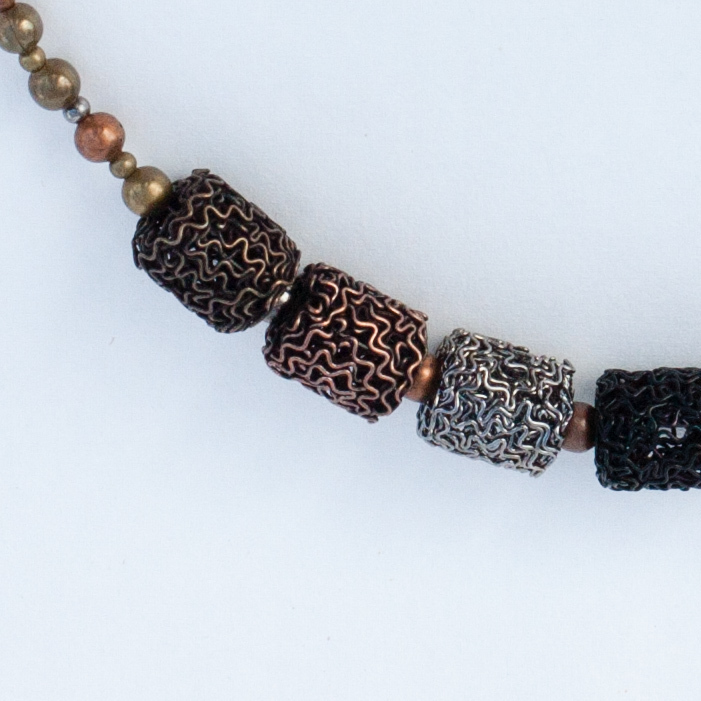 The main body of this necklace has copper, black and silver metal beads. 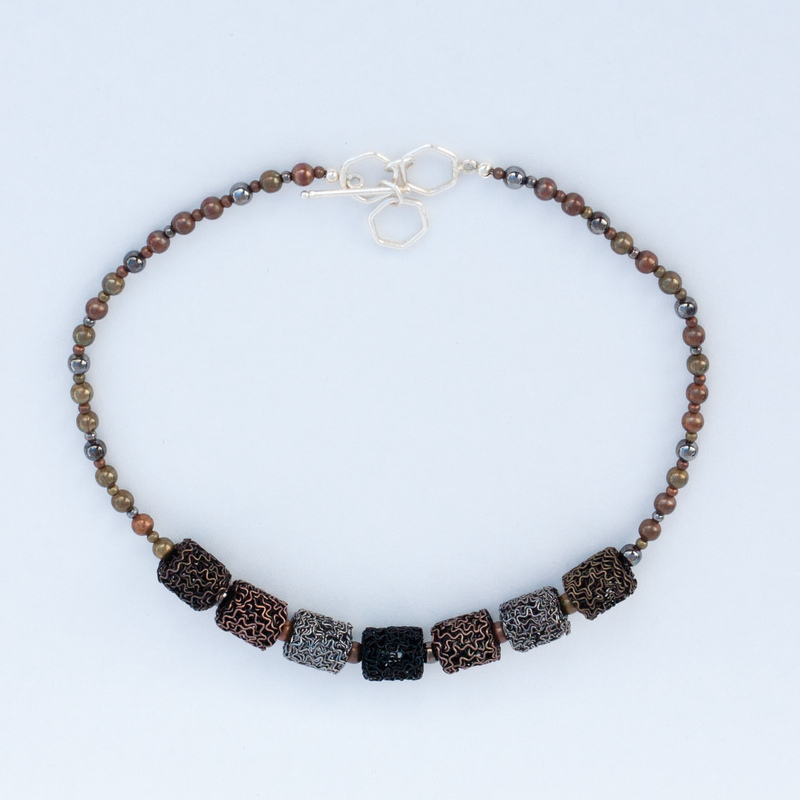 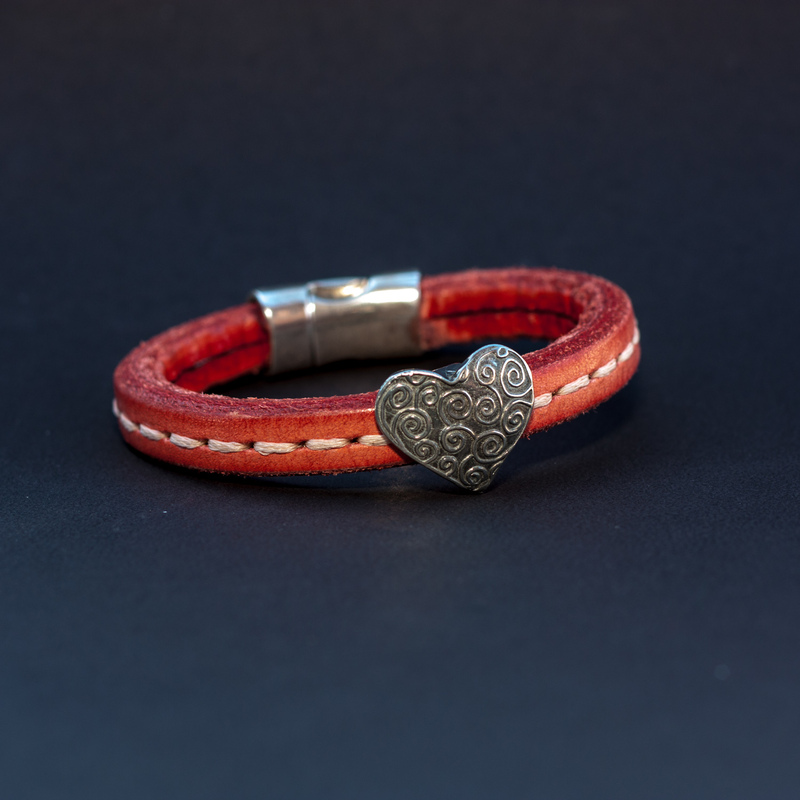 Silver hexagonal toggle clasp. 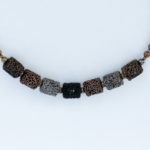 The length of this necklace is adjustable from 17 to 19 inches.